Befudddled by the terms that writers and publishers use? Here is a glossary to help you navigate the lingo. 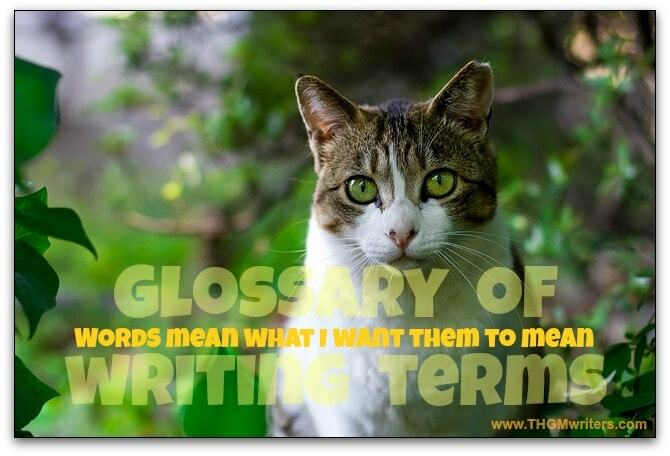 There are many terms used in writing, and a novice to this world could well be confused. 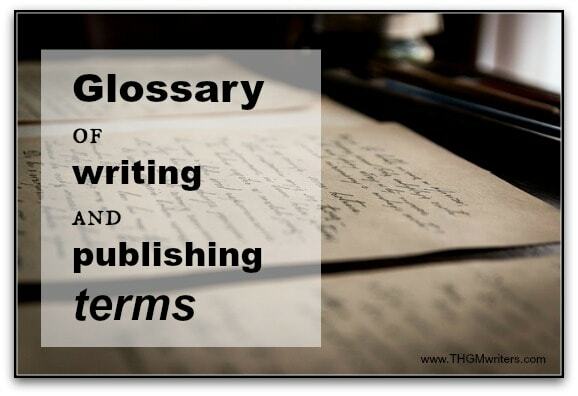 Here is a selection of writing terms and definitions that you are bound to run into sooner or later. I will try to leave out words specifically related to word usage, such as compound sentence, synonym and pronoun, as well as words related to poetry (so very many of those!). This glossary is already long enough without them. Abstract. A brief summary of an article, a standard part of most academic writing. Active voice. When the verb focuses on what the subject of the sentence is doing. Advance. If you are lucky enough to be in demand by a publisher, you might be paid an advance to write your book – prior to actually writing it. All rights. The publisher holds all rights to publish in any form, but does not own the copyright. Allegory. A method of telling a story using characters or objects to deliver a message metaphorically. Antagonist. Often the villain, the antagonist is the character that tries to stop the protagonist (the hero or main character) from succeeding. Anthology. A collection of stories compiled together, usually with a loose theme or commonality. Attribution. Giving credit for a quote, illustration or other element to its source. Audience. The intended reader, usually described by demographics. Autobiography. The writer’s life story told in the first person. Author. The person whose byline is on the work, not necessarily the same as the writer (such as when a ghostwriter has done the writing). Back matter. Pages at the end of the book that support the manuscript, such as bibliography, acknowledgements, etc. Backlist. Books from a previous year that are still in print. Backstory. The history behind characters and events, often included as flashbacks or slipped into the dialogues or recollections of the characters. Beta readers. Readers who read a manuscript before publishing to test it out on the target audience. Bibliography. The list of sources used in researching a book or article. Blurb. A short summary of a book published on its back cover. Boilerplate. A template of text that can be used to create multiple documents. Byline. The name of the author credited with a book or article. Canon. The most authoritative source of information on a given topic. Category. General topic areas, broader than a genre, used to organize books in the market. Citation. Reference to the source of information. Climax. The culminating point of highest tension in a story. Clips. Published samples of a writer`s work. Copy editing. Editing text for basic elements such as spelling, grammar and consistency. Copy writing. Writing fairly straightforward text, usually for business or administrative purposes. Copyright. the assignment of ownership of a work. Denouement. The final results of a story, once all conflicts and mysteries have been resolved. 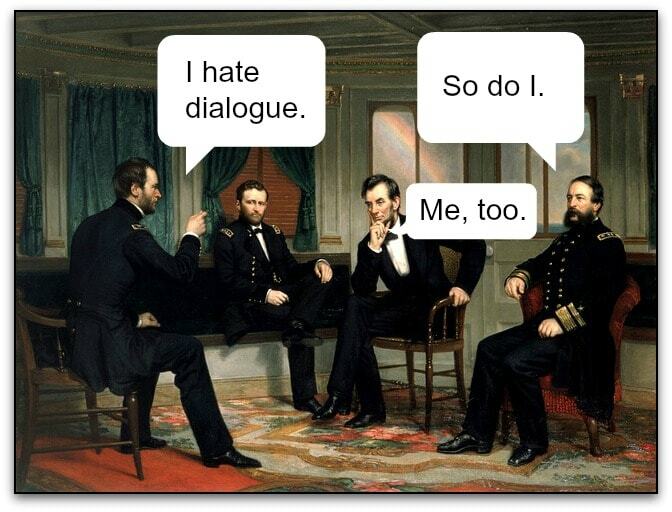 Dialogue. Words spoken by the characters in a story. Draft. The complete unedited version of a text. Dustjacket. Paper covering, usually in full color, covering a hardcover book. eBook. Electronic version of a published book. Edit. To rework a draft for grammar, flow, length or any other factor required to polish it for publication. Editor. The person who edits a manuscript or manages the writing of a publication. Editorial. A work expressing an opinion. Embargo. prohibition of publishing or distributing a work until a date specified, often (and foolishly) used with press releases. Endnote. An explanation of a point, placed at the end of a book. eReader. Device for reading and storing eBooks. Fair use. The use of a small portion of a work (generally less than 10 percent) for educational or illustrative purposes, with attribution, and not infringing on copyright. First rights. The right to publish first, but does not preclude others from publishing at a later date. There can be qualifying first rights, such as “first electronic rights” or “first print rights” or “first North American rights”. Footnote. An explanation of a point, placed at the bottom of a page. Format. The layout aspects of a manuscript, including spacing, margins, indentations and font. Front matter. Pages at the beginning of the book that support the manuscript, such as title page, table of contents, etc. Galleys. A typeset draft of a book. Genre. The type of book, such as true crime, biography, science fiction, etc. Ghostwriter. A person who writes anonymously in someone else’s name, so that the client is credited with the work. Hard copy. The printed version of a manuscript. Hardcover. A book bound with a thick cardboard stock cover, usually with a paper dust jacket. Half title. The page at the beginning of the book that contains nothing but the title. High concept. The idea of a book, boiled down to a single sentence. Historical fiction. Fiction set in the past, attempting to fit in with the events and activities of the time. Hook. A line that draws the reader into the book from the very beginning. House style. A specific publisher’s preferred style. Imagery. Descriptions that employ the five senses. Imprint. A credited division within a publishing company used for branding purposes, much as a “make” of an automotive manufacturer. ISBN. Stands for International Standard Book Number, a unique identifier assigned to each published book for inventory and ordering. Kill fee. Payment made to a writer for an article that was written, but not published. Lead paragraph. The first paragraph of a book, article or chapter. Literary agent. Someone who represents authors to publishers. Logline. A single sentence that describes a screenplay. Manuscript. Final copy of a work prior to publishing. Mark up. To add editing notes on a manuscript. Massmarket paperback. A small trim book intended for the general public, often a cheaper version of a hardcover book. Memoir. An autobiography or a lengthy narrative of a specific period of one’s life. Mood. The feeling that the author is trying to convey in the story. Narrative. A chronology of events that forms a story. Narrator. The person recounting a story, usually in the third person. Novel. A fiction book over 40,000 words. Novella. A fiction book under 40,000 words. On acceptance. An arrangement whereby a writer is paid if and when the editor accepts the article for publication. On publication. An arrangement whereby a writer is paid if and when the article is published. On spec. When there is no arrangement between the writer and an editor, and the writer prepares an article with the hope that an editor will accept it. Outline. A summary of the content of a book in point form, usually to organize the content before writing, often forming the basis for the table of contents. Paperback. A softcover book, usually with a cardstock cover slightly thicker than the paper within. Parody. An imitation of a serious work or narrative, usually in a sarcastic or humorous fashion. Passive voice. When the verb focuses on what is being done to the object of the sentence. Personification. Human traits assigned to an animal or inanimate object. Pica. A measure in typesetting equal to 1/6 of an inch. Pitch. The approach of an author to an agent or editor. For a book, this is typically a query letter with a synopsis. Plagiarism. The unauthorized use of another person’s words. Point. A measure in typesetting equal to 1/72 of an inch (also a form of ballet, but that’s not the point here). Point of view. The perspective from which a story is told, expressed as through whose eyes the reader perceives the events. POD. See “print on demand”. POV. See “point of view”. Premise. The idea on which the story is based. Print On Demand. A process of remotely printing books as they are ordered. Print run. The number of books or magazines printed at one time. Writing has its own vocabulary. Proofreading. Checking for technical errors in the text. When we proofread, we look for spelling, punctuation, capitalization, grammar and related items, not for style or structure. Proposal. Summary of a book and the business case for publishing it, usually written before a manuscript is drafted. Protagonist. The main character of the story, with whom the reader identifies. Pseudonym. A pen name that an author adopts so as not to reveal her real name. Public domain. Any work not protected by copyright. Query letter. A letter sent by the author to literary agents or publishers to seek representation or publishing. Rejection slip. A letter sent by a publisher to an author to reject the submitted manuscript. Reprints. Material published after having already been published elsewhere. Rights. Ownership of a work and how it may be used. Royalties. A percentage of revenues paid by the publisher to the author. Run-on sentence. A sentence that is far too long and should be broken into two or more sentences, often because the writer is not skilled enough to shortened the text or to divide it, but also sometimes just because the writer likes the sound of his own typing, but in other cases (such as this one) just to prove a point. SASE. Stands for “self-addressed stamped envelope”, which publishers and agents often demand that you include when you submit them a manuscript (assuming you want the manuscript returned). Satire. A literary device to make fun of or mock something. Self-publishing. A method of publishing whereby the author commissions books directly from a printer, publishing a work himself. Serial. Any publication that publishes at regular intervals. Short story. Fiction typically under 5000 words and published in a publication along with other material, rather than as a stand-alone. Simultaneous submissions. Sending a manuscript to multiple publishers or agents at the same time, sometimes considered acceptable and sometimes not. Slant. The angle or perspective a writer uses to approach a story. Small press. A publishing company other than one of the major ones, often specializing in one or a few genres. Soliloquy. A monologue, usually to reveal inner thoughts of a character, or in film used by the antagonist to give audiences the chance to prepare for the hero’s attack. Spine. The end of a book that is visible when it is placed between two other books on a shelf. Style. The ensemble of characteristics that define a writer or a work, including word choice, sentence structure and literary devices. Style sheet. A list of grammar or word use specifications for a publication. Submission guidelines. The rules to follow when submitting a manuscript to a publisher. Subplot. A secondary plot that contrasts with the main plot or is enfolded within the main plot. Synopsis. A summary of a book’s plot, usually two to three pages long. Tardis. I threw that one in just to see if you were still listening. Tearsheet. Sample of the author’s published work. Theme. The general topic of a work. Thesis. The key argument the author puts forward, generally in non-fiction. Tone. The implied attitude of the writer toward the subject of the work. Trade paperback. A softcover book larger in trim size than a massmarket paperback. Trim size. The width and height of a book’s pages. Vanity publishing. A service to help authors publish books mostly for their own use, rather than for massmarket distribution. Voice. The persona that the author adopts to convey his message, which will be reflected in the style of the writing. Weight. The boldness of the text. White space. Any are of a page without text or images. Word count. The number of words in a manuscript. Work for hire. An arrangement whereby a writer is hired for a specific project, and is not considered an employee and does not retain any rights. Writer. The person who wrote the work, either the author or the ghostwriter. Writer’s block. The inability to decide what next to write. Thanks David for this list. You know, sometimes these words do not come to the mind on the spot. Then we try to explain it. It is indeed very helpful. What I am going to do, if you don’t mind, copy/paste on a Word file and keep it as ready reference. In the USA it’s usually a brief bit of text recommending the book, written by a reader or someone important. It may be on the back cover, front cover, in the front matter or used in advertising. In the UK it can mean a small bit of promotional text, usually prepared by the publisher, used in an ad or on a poster or on the book cover. Nice resource, Im sure it will be useful to a ton of people. Informative, as always, David! Love the graphic at the end – words I live by! Lol! Great resource – many thanks!! Good list. Thanks for compiling and putting it out there. Thankyou for your glossary of writing terms Mr Leonhardt;I wrote down every last word and definition to practice. Do you like fan fiction? Because I do and I was wondering if you could give me advice on writing my first story for one, i would be tremendously thankful. Time to add this one to saved links.